JIREN FACT NO. 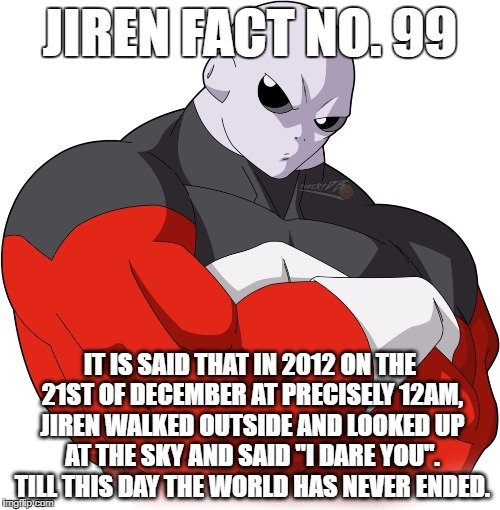 99; IT IS SAID THAT IN 2012 ON THE 21ST OF DECEMBER AT PRECISELY 12AM, JIREN WALKED OUTSIDE AND LOOKED UP AT THE SKY AND SAID "I DARE YOU". TILL THIS DAY THE WORLD HAS NEVER ENDED﻿.